Jason Luther Joon-Il Park passed away on October 27, 2013 at the age of 17, but he will never be forgotten. He attended MSJ for his first two years of high school before transferring to an independent study program. Jason’s sister, Danika, shared some thoughts about her brother. “He was always a goofy character as a child, making funny faces at the camera and coining made-up words.” This attribute evolved into what he was best known for: his witty sense of humor. He had an incredible talent for telling jokes and effectively delivering punch lines. He also had a down-to-earth personality as well as a big heart. Jason was one who could be described by all as happy-go-lucky. He was one who always lit up the room, bringing joy to everyone no matter what the circumstances were. Moreover, he was a loyal friend, a loyal son, and a loyal brother. Jason left such a strong impact on his friends and family that the “Jason Park” in them will never die. Jason Park is survived by his parents, Jay and Lisa, and his older sister Danika (MSJ Class of 2010), who will miss him the most. Sometimes it is impossible to tell who true friends are. But with Jason, that question never had to be asked. Whether he was simply joking around and brightening everyone’s day or just going about his daily life, he always had a smile on his face. Jason had such compassionate love for what he did. Within the short 17 years he lived, he truly touched many lives and hearts. The MSJ community observed a moment of silence in the Bell Tower Quad today. 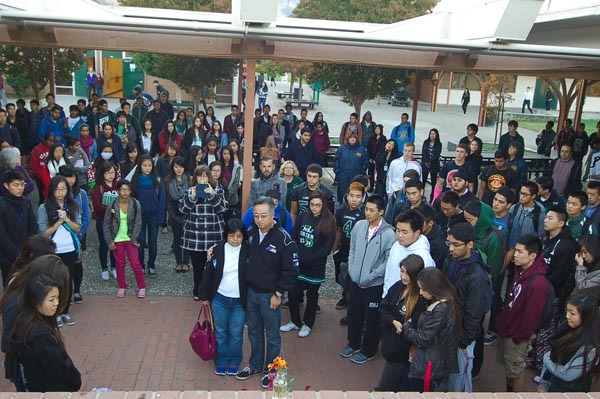 A group of students, teachers, and administrators took a moment to appreciate and honor Jason Park. When Jay and Lisa (his parents) spoke to the crowd, their words were comforting and encouraging, showing their incredible resilience, courage, and determination to help the entire community celebrate their son’s life. 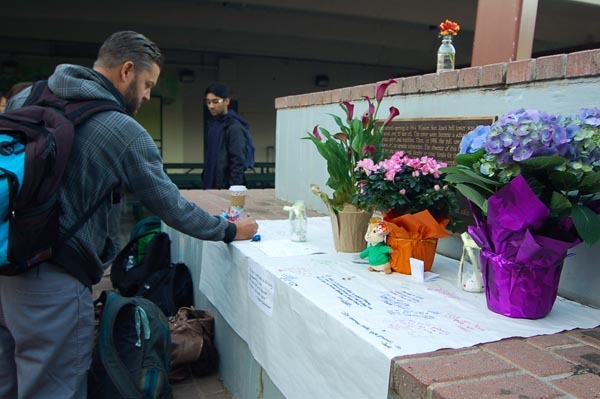 If you wish to share your memories about Jason Park, visit the Facebook page, In Loving Memory of Jason Park at https://www.facebook.com/pages/In-Loving-Memory-of-Jason-Park/573359569396202. 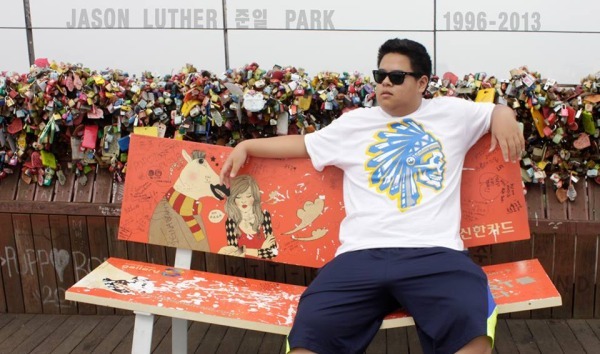 Be the first to comment on "In Loving Memory of Jason Park"